Keep your phone and wallet conveniently within reach while you cycle. 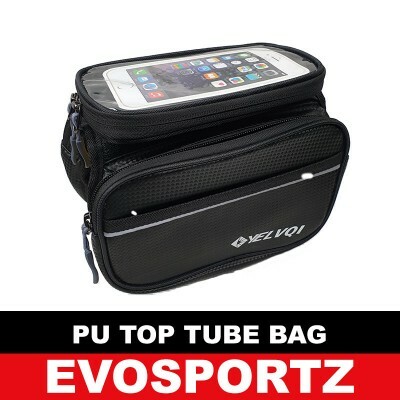 This top tube bag allows you to put your phone into the transparent case, as well as allowing you to use it while in the case! Best of all, this cycling pouch is splash resistant. You need not worry about getting your phone or items wet when it rains. 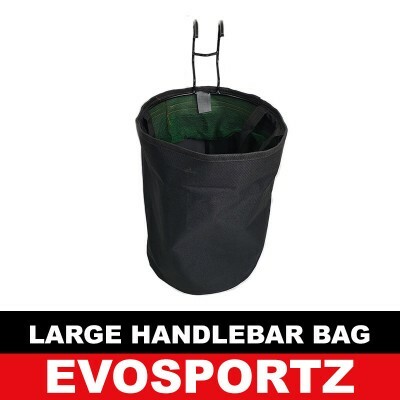 Get more space for your bicycle / electric scooter with this large handlebar bag / pouch.SPECIFICATIONSSize: Approx. 30cm x 23.5cmBag Material: Polyes..
Keep your credit card, keys and phone with your during your cycling trip. This top tube bag comes with a transparent holder for your phone, so you can..
Have lots to carry around when you cycle? 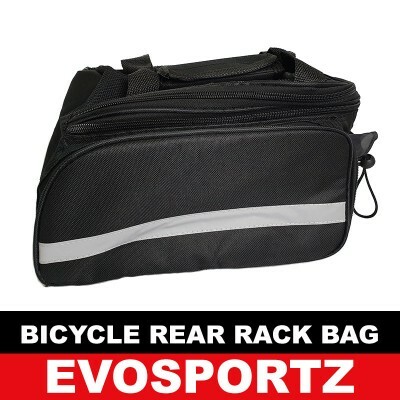 This large rear rack bag is just what you need! It has the ability to be opened further to give more storage..
Make good use of every corner space you have on your bicycle. Add a triangle bag to your bike easily by strapping this durable bag on.SPECIFICATIONSDi..
Keep your keys and wallet with you while cycling. This top tube bag comes with a mobile phone compartment. You can put it on your bike to view your GP..